As one of the most quantitative of ecological subdisciplines, resource competition is an important, central area of ecology. Recently research into this area has increased dramatically and resource competition models have become more complex. The characterisation of this phenomenon is therefore the aim of this book. Resource Competition seeks to identify the unifying principles emerging from experimental and theoretical approaches as well as the differences between organisms, illustrating that greater knowledge of resource competition will benefit human and environmental welfare. 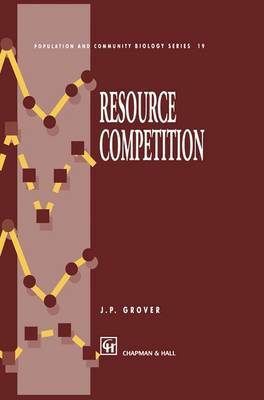 This book will serve as an indispensable guide to ecologists, evolutionary biologists and environmental managers, and all those interested in resource competition as an emerging discipline.